It's a Monday. We know, the weekend is over, and it's time to return to our normal lives. 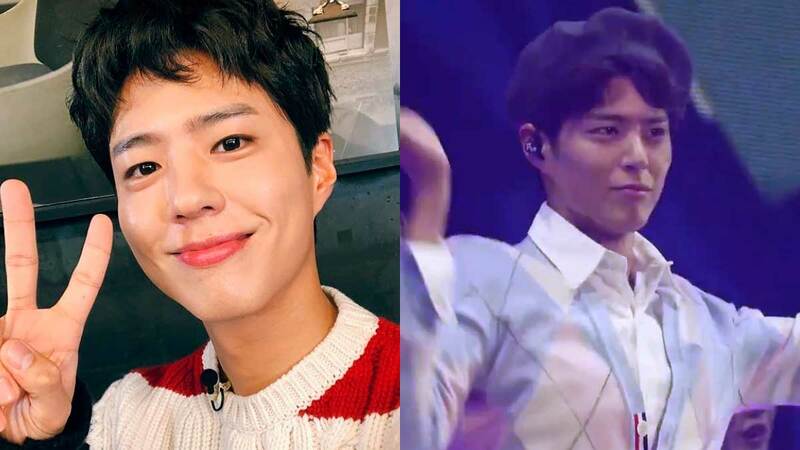 But we're about to make your day a hundred times better: Park Bo Gum just graced us with a dance cover of "What Is Love?" by Korean girl group Twice! It was part of his performance for his 2019 Asian Tour, which kicked off in Seoul on January 26. Bo Gum absolutely NAILED IT. That footwork! That kembot! All that cuteness! We already know that this cutie is a good singer, but seeing him dance is always a welcome (and unexpected) highlight. He's honestly the happy pill we all need and deserve right now! In case you're wondering, Bo Gum's agency, Blossom Entertainment, hasn't realeased official dates for his Manila fan meet yet, but we're sure he'll be stopping by in just a few months. P.S. He's even designed his own official light stick! Bo Gum is currently starring alongside Song Hye Kyo in the series Encounter. Hye Kyo plays Cha Soo Hyun, a politician's daughter who is forced into an arranged marriage, which eventually ends in divorce. She ~encounters~ Bo Gum's character Kim Jin Hyuk, a younger guy who finds happiness in the small things. You can catch it on Viu!